Chinese Vice Premier Ma Kai Friday highlighted innovation in driving the high-quality growth of the manufacturing sector. Ma said that more efforts were needed to push for a shift from "Made in China" to "Created in China," which could be achieved through the creation of manufacturing innovation centers. Innovation centers are a significant part of China's drive to become a global manufacturing powerhouse, and a goal has been set to establish 15 national centers across the country by 2020. The first was set up in Beijing in June 2016, to research power batteries. 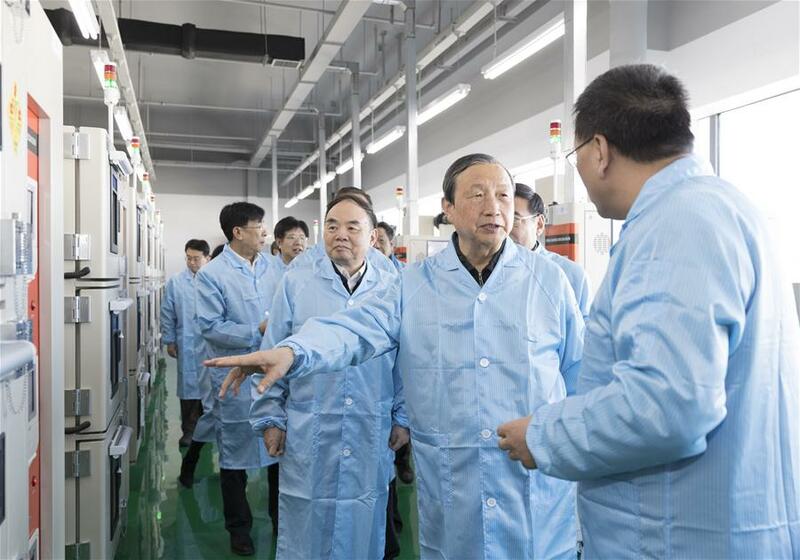 "China should channel more energy into key areas, such as big planes, aircraft engines, gas turbines, integrated circuits, new materials, new energy vehicles and 5G technology," Ma said while inspecting such centers in Beijing. Ma promised a better business environment, including less red tape and further reductions on taxes and fees. "China will move more swiftly to foster top-class manufacturers with global competitiveness," he said. China is counting on an improved manufacturing sector to help enhance its economic quality. With slower GDP growth, the country is steering to a path of innovation-driven, sustainable development.